Cape Town’s SMEs should drive the shift to remote Working as COLIN THORNTON, Managing Director of Turrito Networks and Dial a Nerd, says this is a key part of the city’s efforts to save water. In March, rating’s agency Moody’s warned that the water crisis affecting Cape Town would cause the city’s borrowing to rise sharply – and the provincial economy to shrink – the longer the situation lasted. As it stands, Cape Town is the first major metropolitan to face the possibility of running out of water. The City’s residents are bracing themselves for “Day Zero” in late August, when Cape Town’s taps could literally run dry. For Cape Town’s business owners and managers, it is now imperative to find ways to alleviate not only operating costs in a stressed local economy, but overall pressure on the City’s infrastructure. Arguably, enabling employees to work remotely – either from home or from a different province, is one way to ease both of these burdens. Although remote working has been topical for some time, it has now become critical that businesses in Cape Town start to explore feasible remote working solutions. From a technology/IT perspective, this means putting the right IT infrastructure in place to ensure that employees and managers have the right tools, platforms and support to make the strategy a success. To begin with, robust connectivity is key. If your company’s Internet connection is not already both fast and reliable, this must be addressed as a matter of urgency. Secondly, every business should be looking to harness Cloud based tools and platforms to bolster collaboration, productivity and overall communication as the company embraces worker mobility…. By moving enterprise systems, software and processes to the Cloud – and away from locally hosted environments [on-site servers and exchanges] SMEs in particular will automatically be enabling themselves to succeed during and after the water crisis. Indeed, with Cloud based platforms in place, SMEs can achieve a new level of independence, responsiveness and agility – as employees will be able to safely access key data anytime, and from anywhere. Let’s take email, for example, which is the lifeblood of today’s SMEs. Without properly functioning email connectivity, any small business will be brought to a halt. For SMEs looking to support a host of remote working capabilities, they must immediately consider their email solution. So, do they choose a Cloud-based product, or rather to ‘insource’ email and go with an on-site mail exchange service? From an efficiency and remote working point of view, the Cloud-based option is a no-brainer. By adopting the Cloud, SMEs can rest assured that their email will be up and running 99% of the time, and employees will have simple, secure and easy access from anywhere – as long as they have reliable connectivity. Without doubt, there is also a huge cost implication for SMEs that wholeheartedly embrace Cloud computing and, simultaneously, mobility. With most of today’s Cloud computing platforms and services, there are no expensive licensing costs to deal with nor long term contracts– which allows each business to scale up or down according to their current needs. This can free up operating capital to spend more on new mobile devices and mobile connectivity that promotes and supports the shift to remote working. Are we drowning in data? It’s a crisp Spring morning in Brooklyn. The regular water taxi from Manhattan pulls up at Duggal Greenhouse on the edge of the East River. It’s a building that symbolises the rejuvenation of Brooklyn as a hub of artistic and creative expression. Inside the vast structure, global computer brand Acer is about to unveil its own tribute to creativity. Company CEO Jason Chen takes to the stage in faded blue jeans and brown t-shirt, underlining the connection of the event to the informality of the area. 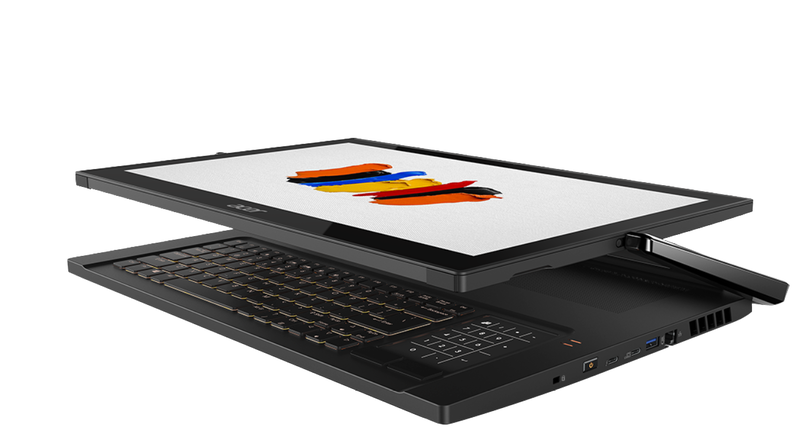 Every year, Next@Acer is a parade of the cutting edge in gaming and educational laptops and computers. New devices from sub-brands like Predator, Helios and Nitro have gamers salivating. This year is no different, but there is a surprise in store, hinted in Chen’s introduction. 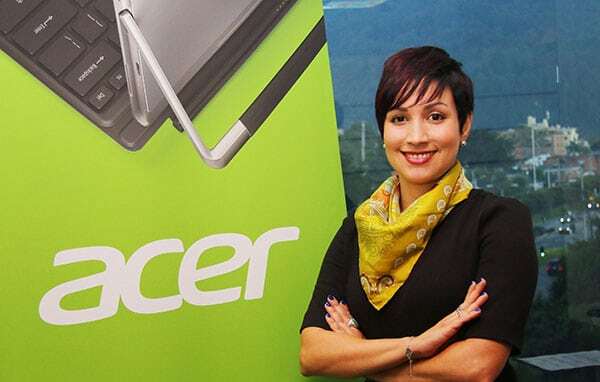 As a grand finale, he calls on stage Angelica Davila, whose day job is senior marketing manager for Acer Latin America. But she also happens to have a Masters degree in computer and electric engineering. A stint at Intel, where she joined a sales and marketing programme for engineers, set her on a new path. For the last few months, she has been helping write Acer’s next chapter. She has shepherded into being nothing less than a new brand: ConceptD. Click here to read more about ConceptD. Take the most famous phrase from the Godfather – “I’m going to make him an offer he can’t refuse” – or “The only thing we have to fear is fear itself” from the inaugural address of US President Franklin Delano Roosevelt and see just how the virtual assistants do in translating them using their newly introduced Neural Machine Translation (NMT) capabilities. One Hour Translation (OHT), the world’s largest online translation service, conducted a study to find out just how accurate these new services are. OHT used 60 sentences from movies and famous people ranging from the Godfather and Wizard of Oz to Neil Armstrong, the first man to set foot on the moon, US presidents Franklin Delano Roosevelt and John Fitzgerald Kennedy and historical figures like Leonardo da Vinci and Aesop. The sentences were translated by Google Assistant, Amazon’s Alexa and Apple’s Siri from English to French, Spanish, Chinese and German and then given to five professional translators for their assessment on a scale of 1-6. Google Assistant scored highest in three of the four languages surveyed – English to French, English to German and English to Spanish and second in English to Chinese. Amazon’s Alexa, whose translation engine is powered by Microsoft Translator, was tops in the English to Chinese category. Apple’s Siri was second place in English to French and English to Spanish and third place in English to German and English to Chinese. (See chart). 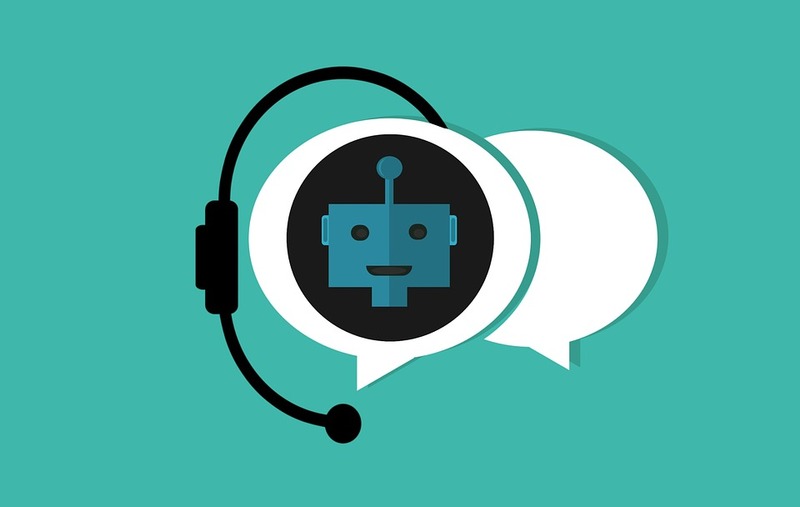 All three virtual assistants are compatible with mobile phones. A lot will depend on further improvements in NMT technology, which has revolutionized the field of translation over the past two years. All the companies active in the field are investing large sums as part of this effort. “OHT is working with several of the leading NMT providers to improve their engines through the use of its hybrid online translation service that combines NMT and human post-editing,” notes Kaufman. He adds that this will no doubt have a huge impact on the use of assistants for translation purposes. OHT has made a name for itself in assessing the level of translations by NMT engines. Its ONEs Evaluation Score is a unique human-based assessment of the leading NMT engines conducted on a quarterly basis and used as an industry standard.